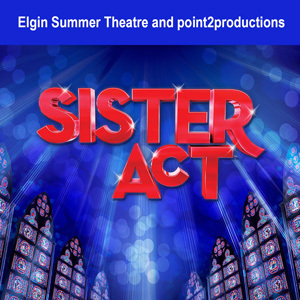 The City of Elgin is excited to announce that it will be partnering with point2productions, a division of Schaumburg on Stage, to present the 2018 Elgin Summer Theater production of SISTER ACT. Sister Act is the feel-good musical comedy smash based on the hit 1992 film. Filled with powerful gospel music, outrageous dancing and a truly moving story, Sister Act will leave audiences breathless. A sparkling tribute to the universal power of friendship, Sister Act is reason to REJOICE!